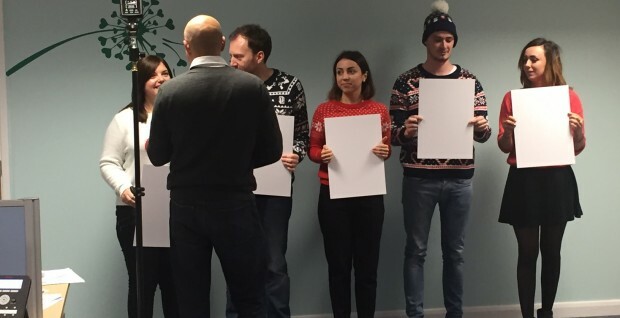 This week at StockdaleMartin the festive season has officially begun! Work clothes were swapped for Christmas jumpers and hats, which also applied for our trusty canine friend Della who wore her festive scarf, in readiness for our annual work’s Christmas card. At Christmas we like to think of all our clients we have worked with over the years and this year our card will feature a personalised touch! All will be revealed in due course!